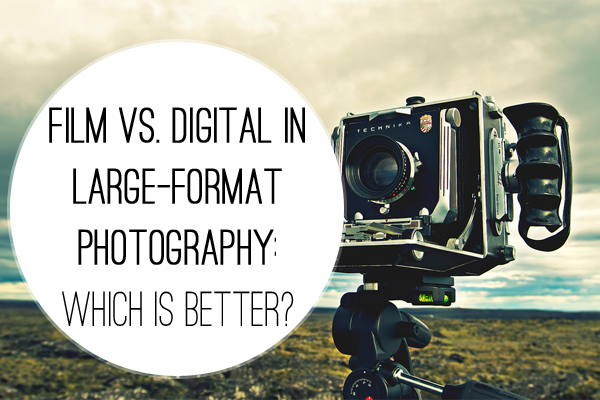 Film vs. Digital in Large-format Photography: Which Is Better? French photographer Marc Riboud said, “Taking pictures is savouring life intensely, every hundredth of a second.” Although astounding, the human ability to capture and store moments in image rich memory is limited. Visual encoding start with perception follows through to the moment when it is committed to memory and then reaches the period after in which the memory is retained. The human ability to capture and memorize is susceptible to a range of interferences. 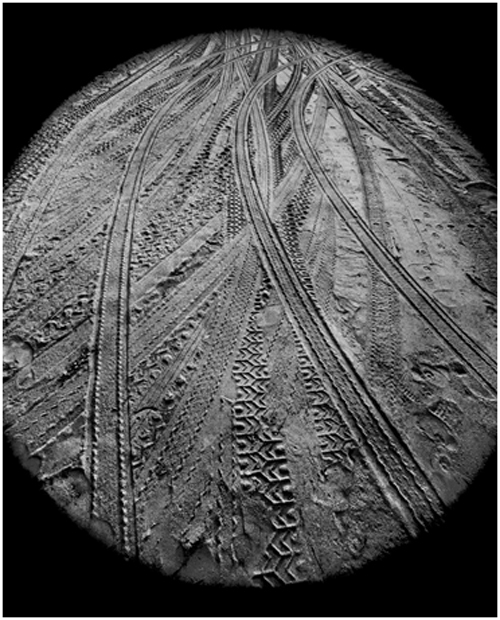 Even though the eye is very much like a camera, memory is not at all like a photograph and is subject to losing detail in the long-term. Simply put, a digital camera takes in so much more than what the mind can store at any given moment, and can store this over longer periods of time. A large format film camera takes just that bit more detail in than a digital camera. Depending on the lens used, large format films can record around 200 megapixels and attain all the incredible details one would wish to store away for the future. Some adamant large format film photographers insist that it is the only way to capture the three-dimensional quality of an object in a photograph. Besides achieving depth and long-term preservation of detail, there is a multitude of other reasons why these film aficionados refuse to settle for digital. In times of yore, time was not such a rare commodity. Convenience food was a new idea, and not yet popular, cars were assembled by hand and journeys were made by ship. Instant gratification was mostly a foreign concept. People enjoyed the satisfaction of achieving something through putting time and effort in. Although modern life places increasing demands on time, some individuals make time to enjoy the journey of creating something, and not just the end product. Besides the obvious advantage of high resolution in storing finite detail, using film to take photographs is attractive to people like this, who enjoy taking photographs for the process itself, and not just the end product. To these photographers, taking the time to set up, contemplating the picture, taking care to shoot it at the right angle in the right light and then developing it is just that much more to savour. On top of the enjoyment achieved, the end product can be phenomenal. Take the work of fine art photographer Scott Mead as an example. His range, aptly titled “Looking Back,” holds clarity, depth and detail nearly impossible to achieve with a basic digital camera. It is as though he is not only figuratively “Looking Back,” but also physically embracing an earlier time by practicing traditional methods. 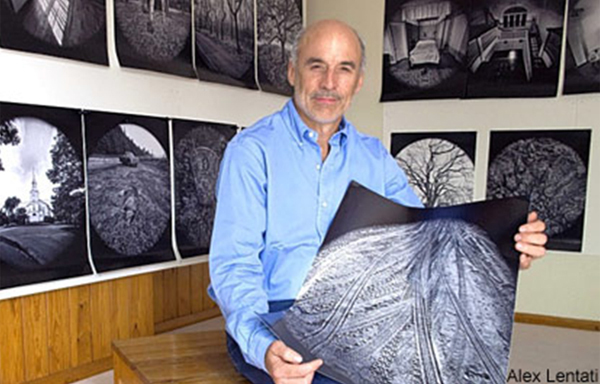 In addition to the quality Mead achieves by using large format film, his innovative use of a smaller lens to achieve the signature spherical effect of the series is simply not achievable digitally, without using image manipulation software. Scott Mead’s piece, “Choices,” is a clear representation of how traditional large format photography lends itself to an impressive juxtaposition of old technology, improvisation and art. Of course there are always two sides to a coin. On the opposite end of the photographic realm, digital camera devotees may argue that so much more goes un-captured while all the pernickety aspects of using old fashioned gear are observed. They may say that digital SLR prices have dropped exponentially while the quality has risen, that it is possible to achieve breath-taking 14 megapixel shots with affordable equipment, and that hundreds of photos can be taken and only the best shots kept – all valid arguments along with the fact that photographers these days are spoilt for choice with options available that suit all pockets. Even simple point-and-shoot cameras and camera phones can produce great pictures these days, they are easy to operate, lightweight and can fit in just about any pocket. For non-professional photographers this is often an adequate choice. For professionals, standard format digital SLR cameras can be ideal, unless very large architectural or wide-angle shots in nature demand large format. In this case, there are large format digital cameras available on the market. The drawback is that large format digital cameras remain very expensive. An entry-level large format Hasselblad or Rollei can set you back thousands, without a lens. The question is whether the photographer really needs a Hasselblad? If you are a professional and need to shoot large scenes like landscapes or big objects such as buildings, you probably need the genuine quality only large format offers. Traditionalists will stick to film and so will the more progressive photographers, unless they are able to open their pockets for a large format digital camera. After all, those Hasselblads and Rolleis would not be for sale if there wasn’t a market for them. If not, like many things in life, it is simply a matter of personal choice and budget. Author’s Bio: Peter Smith possesses root knowledge of photography and each key term related to it. 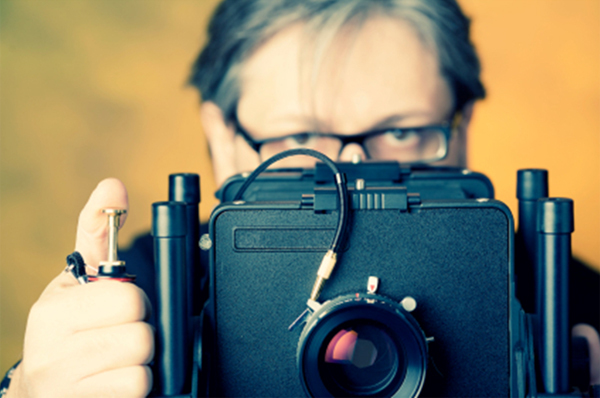 He also has about 15 years experience in photography and mastery in both digital and film photography. He’d love it if you checked out fine-art photographer Scott Mead’s work!